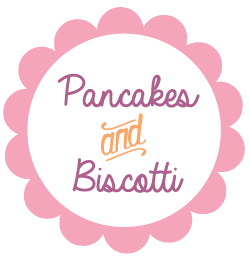 In the past 10 or so years since I’ve started baking and cooking I have tried out countless recipes; some have been ok, some very good, and others fantastic. The recipes that I share on here with all of you are the ones that I’ve liked the best over the years, that can be considered tested and approved for our readers – all the recipes I post on here are ones that I love to make and eat. That being said, I am about to share a recipe for you in this post that is quite possibly my absolute favorite thing that I have ever made in all of my time in the kitchen. Ladies and gentleman, I present to you challah bread, one of the tastiest things you will ever eat. 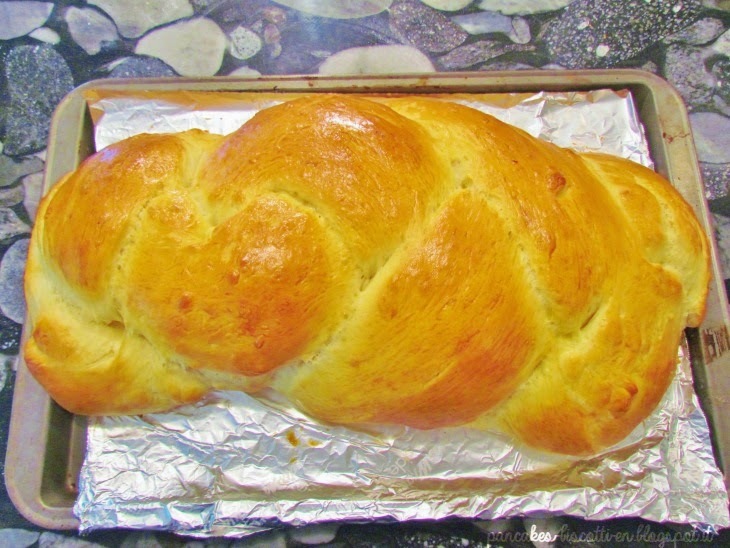 Let me explain – challah bread, for those of you who are unfamiliar, is a Jewish bread made with eggs, butter, and sugar, that has a characteristic braided shape. It is buttery, sweet, cake-y and absolutely addictive warm out of the oven with butter or jam. Though I usually aim to try out new recipes when I’m at home in Rhode Island, challah bread is always an exception to the rule, and I make it at least several times for my family. During the car ride home from the airport my dad without fail inquires about the likelihood of eating challah bread: “Sooo, doing some baking when you’re home? 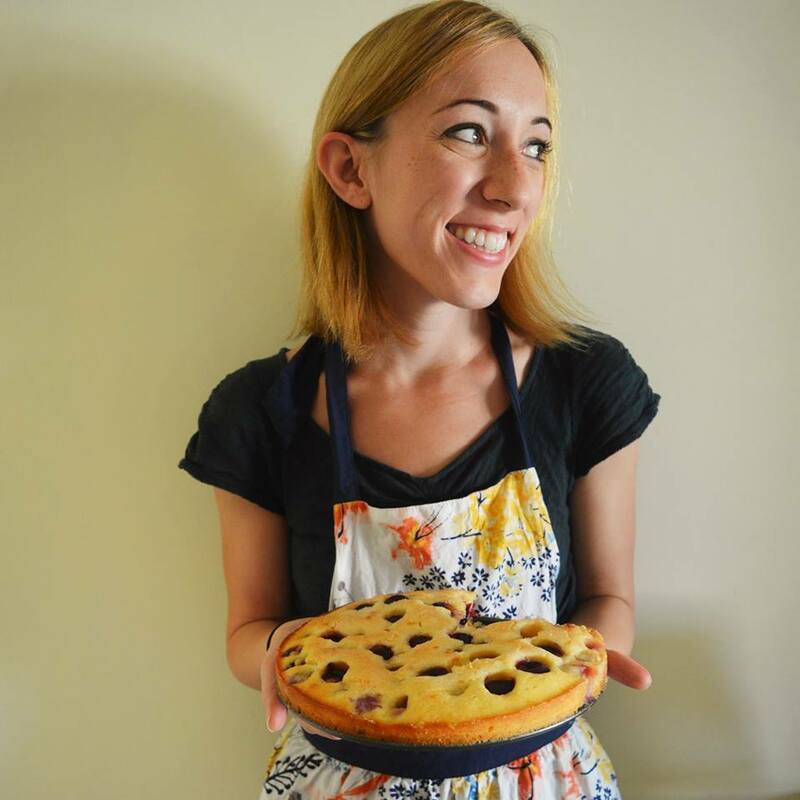 When could you make challah? Tomorrow? You’ll be up early from the jetlag anyways, right? 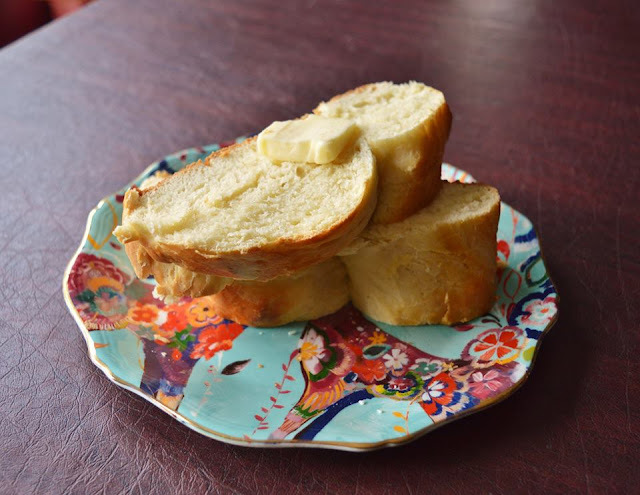 Might be a good way to fill the morning!” When I do get around to making this recipe, the bread quite literally disappears within an hour or two; I often find my family members eating slices of it while standing at the kitchen counter, butter knives in hand. If you happen to have any bread leftover (though this has never happened in my house) I imagine you could also use it to make French toast or bread pudding. Yummm. As enthusiastic as the above paragraph is about this recipe, I realize that some of you may be a bit uncertain about making bread from scratch. I know what you’re thinking: it’s complicated; it takes too long to make; you figure you can just buy bread at the supermarket. Rest assured that this recipe isn’t all that time consuming; you really just need to mix the ingredients together for the dough, knead it a bit, and let it rise for a couple of hours unattended. And trust me, this bread is WAY BETTER THAN ANY BREAD YOU WILL EVER BUY AT THE SUPERMARKET. I can’t say enough good things about it. Make this as soon as you can and enjoy!!! To make the dough by hand, in a large bowl, dissolve the yeast in the warm water and let stand about 5 minutes. Beat in the eggs one at a time, then stir in the sugar, and butter. Next add 4 1/2 cups of the flour, and the salt and mix all the ingredients together until the dough comes together in a sticky mass. Turn the dough out onto a lightly floured surface and knead, working in the remaining flour as necessary to keep the dough from being too sticky, until the dough is smooth and elastic, 5 to 7 minutes. Do not be tempted to add too much flour. The dough should stay soft and will become less sticky with kneading. To make the dough with a stand mixer, in the 5-quart bowl of a mixer, dissolve the yeast in the warm water and let stand until foamy, about 5 minutes. Add the sugar, 3 eggs, and butter, then 4 ½ cups of flour and salt. Place the bowl on the mixer, attach the dough hook and knead on low speed, working in the remaining flour as necessary to keep the dough from being too sticky, until the dough is smooth and elastic, 5 to 7 minutes. Remove the dough from the bowl. Line a half-sheet pan or rimless baking sheet with parchment paper. On a lightly floured surface, turn out the ball of dough and knead it for a minute or two. To shape the bread and make a 3-strand braid like I do (you can also make a four or six strand braid, but I tend to take the easiest route here:) cut the dough into 3 equal pieces with a sharp knife. Using your palms, and starting in the center and working outward, roll each piece of dough out in to a rope as long as the prepared pan. Repeat with the remaining 2 pieces. Line up the three pieces of dough on the baking sheet. Pinch them together at the top and begin to braid the three pieces together. When you have finished braiding, pinch together the bottom and tuck the strands under at the ends. Brush the braid gently with the beaten egg. Bake the bread until is browned and sounds hollow when tapped on the bottom, 30 to 35 minutes. Transfer to a wire rack and let cool. Serve with butter and jam. Makes 1 large braided loaf.